11 v 11 Coed Competitive Soccer Mondays at San Diego High School (Professional Quality Turf)! 11 v 11 Coed Competitive Soccer Thursdays at San Diego High School (Professional Quality Turf)! 7 v 7 Coed Intermediate Soccer Wednesdays at Madison High School (High Quality Turf)! 7 v 7 Coed Intermediate Soccer Wednesdays at San Diego High School! Presented by OWL Drug Co.
7 v 7 Coed Recreational Soccer Mondays at Cabrillo Rec! 7 v 7 Coed Recreational Soccer Mondays at Mira Mesa High School! 7 v 7 Coed Recreational Soccer Mondays in North Park! 7 v 7 Coed Recreational Soccer Sundays in PB! 7 v 7 Coed Recreational Soccer Tuesdays at Mira Mesa High School (Professional Quality Turf)! 7 v 7 Coed Recreational Soccer Wednesdays at Mira Mesa High School (Professional Quality Turf)! 7 v 7 Coed Soccer Thursdays at Madison High School (High Quality Turf)! 7 v 7 Men's Competitive Soccer Tuesdays in Mira Mesa High School (Professional Quality Turf)! 7 v 7 Men's Intermediate Soccer Mondays at Mira Mesa High School (Professional Quality Turf)! 7 v 7 Men's Recreational Soccer Wednesdays at Mira Mesa High School (Professional Quality Turf)! VAVi Sport & Social offers Coed and Men’s Adult Soccer leagues year-round! Whether you’re looking to get more touches in a 7v7 format or get a killer cardio workout on a full field in an 11v11 league, we have you covered. We play our leagues at top of the line turf and grass fields at convenient locations in Downtown, Pacific Beach, North Park and more. Get in on the action by joining the official VAVi Soccer Facebook group for quick access to league updates, hook ups, pics and more! Post-game happy hour and champion prizes! Recreational – For those that are just trying to have fun and maybe get a little exercise. No previous experience required. Intermediate – For the player/team with knowledge of sport and average or mid-level ability. The goal of this level is to have fun but in a competitive environment. Competitive – For players who have college level experience or higher. *$15 extra for every player over the max. Includes insurance and a t-shirt. VAVi Refund Policy: Refunds are only allowed if there is written confirmation of cancellation prior to 7 days out of a program start date. 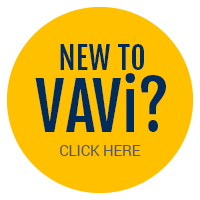 If a program is cancelled by VAVi then all fees are eligible for refunds. Play San Diego Kickball leagues throughout SD with VAVi! Kickball leagues start year-round and include 8 weeks of play, shirts, happy hour & more. VAVi Tennis Lessons provide the essential knowledge for all levels of learning Tennis. Did you know Softball is VAVi’s most popular sport? We have leagues running almost every night of the week. So what’re you waiting for? Get in the game! Team VAVi Running Club “TVRC” is an organized and coached Full Marathon and Half Marathon San Diego Running Club. Play San Diego Indoor Volleyball with VAVi! Leagues start year-round and include 8 weeks of play, shirts, happy hour & more. Find a league today! Want to learn a new sport or improve your skills? Now is the chance with our Beginner and Intermediate Golf Lessons. We have a PGA Professional Instructor onsite to help you perfect your chipping, pitching and putting skills.